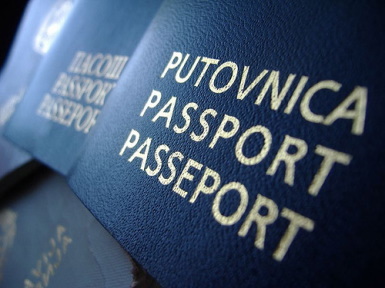 When travelling to Bosnia & Herzegovina it is essential to check visa requirements before travelling. You don’t want to end up at the Sarajevo Airport, only to find yourself on the next flight out of there! Don’t risk it and check the latest Bosnia visa requirements at the Bosnia & Herzegovina Ministry of Foreign Affairs. If you are a citizen of; Australia, New Zealand, Canada, USA, Israel, Japan, Russia, Turkey, United Kingdom or the European Union, you don’t need a visa before arriving. When you do arrive in the country you’ll simply pay the arrival tax after clearing customs, a fee of no more than EUR 20. If you are not a citizen of one of the above mentioned countries you could be required to apply for a Bosnia & Herzegovina Visa before arriving in the country. This can be done at one of the many consulates abroad, and if you are booking through a travel agent in Bosnia & Herzegovina, they will explain the process and issue you with an invitation letter. Or, if you have friends in BiH you can ask them to send you a letter of guarantee. Once again, always check with the Visa Office of Bosnia well before you plan on arriving in the country to avoid any problems. This information is only provided as a general guide. I wish to spend my Vacation in Bosnia, and want to know the help your Company Medjugorje Tours and Travel can help me in securing visa. Presently am in Egypt where am like to apply for the visa if you will help me. I look forward to your favourable reply soonest. Please, tell me, if Visa is necessary for ARGENTINE citizen, to visit Bosnia (Medugorje). There are different notices about this. What´s the truth ?